Adelaide Wilson(Lupita Nyong’o), a woman returning to her beach-side childhood home with her husband, Gabe (Winston Duke), and their two children or an idyllic summer getaway. Haunted by an inexplicable and unresolved trauma from her past and compounded by a string of eerie coincidences, Adelaide feels her paranoia elevate to high-alert as she grows increasingly certain that something bad is going to befall her family. After spending a tense beach day with their friends, the Tylers, Adelaide and her family return to their vacation home. When darkness falls, the Wilsons discover the silhouette of four figures holding hands as they stand in the driveway. Us pits an endearing American family against a terrifying and uncanny opponent: doppelgangers of themselves. First and foremost, the acting is amazing in this film. Lupita Nyong’o was nothing short of fantastic when it came to her performance in this movie. (Like can we just go ahead and add her nomination to the list for The Best Actress Award?) The crazy thing about it is that while we know she’s obviously playing dual characters, she completely transformed herself so much that you become immersed in the idea that it’s literally two different characters on screen. In the scene where she first confronts her doppleganger in the family’s living room, Lupita takes her acting to a whole new level. She was able to lay it all out on the line to show a ridiculous amount of range in her acting. She became completely relatable and extremely captivating whenever she’s on screen. Among the very solid supporting cast, it’s probably easy to say that Winston Duke was a legitimate standout. He encompassed the ideal corny father character including the expected dad jokes. Duke owned probably most of the comic relief in the film in an effective way that didn’t feel forced or unbelievable. One thing that may be a bit unexpected in Us is the amount of humor that is involved. Personally, I believe that humor is to horror as water is to oil. The two simply don’t always mix and oftentimes they cancel each other out. 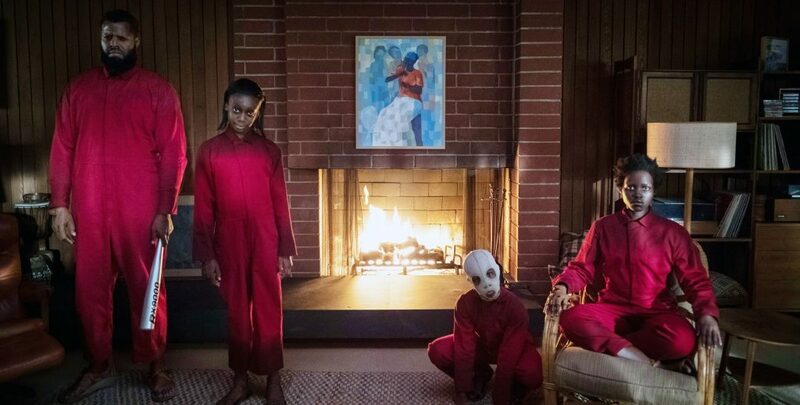 However, Jordan Peele found a masterful way to make the humor work within the horror elements of the film. You could have moments where even the music being played can add a level of humor, despite the fact that you’re still on edge given a suspenseful scene. Speaking of the music, the score was just as much of a character and aspect of this movie as any other character. It was so brilliantly used throughout the movie. The recreation of making Luniz – “I Got 5 On It” into a familiar horror cadence was the perfect touch for this film. When it comes to the setting and the tone of this film, Us definitely delivered with communicating a thrilling, and sometimes eerie, atmosphere from beginning to end. While it may be debatable about whether this movie was more of a thriller or horror, it absolutely had the ability to keep audiences on edge. Even the jump scares in the movie were not overly cheesy nor predictable. There are a number of social themes that are explored throughout the film. The theme of duality and “otherness” is the most prevalent and obvious concept that is explored. 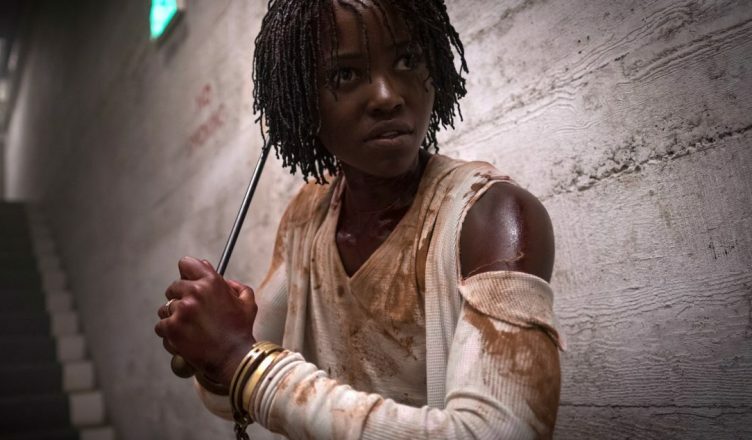 While it may not be conveyed in a simple fashion, once you’re able to analyze the film on a deeper level, you can definitely appreciate the messages Jordan Peele was trying to communicate. Peele did not hold back from displaying his technical prowess and directorial skills. One thing I really appreciated was how he used the cinematography to tell parts of the story. For example, there’s a clever moment where Peele will shoot the character telling the story, but the audience would be watching that character’s reflection in the window as they spoke. Scenes like that were just an interesting way to depict a visual representation of the theme of duality that the movie conveys. Without getting into spoiler territory, the biggest point of contention for Us will come in the third act of the film. To be more specific, I’m referring to the last 20 mins or so of the movie. 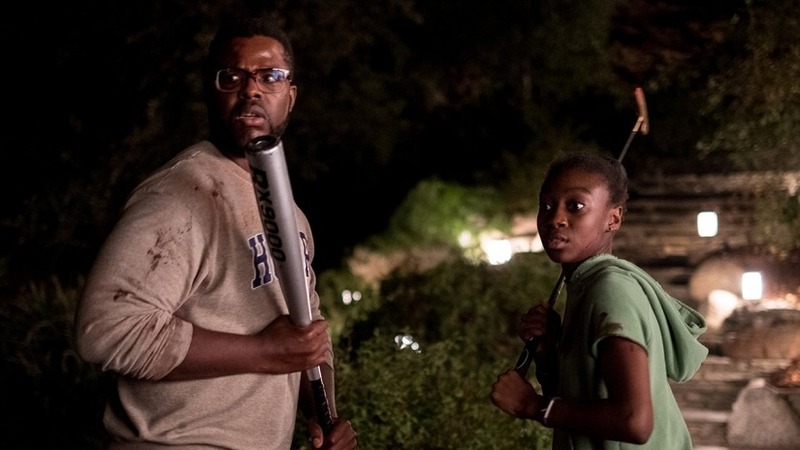 The direction that is taken, in my opinion, was not very effective in communicating the narrative that was probably intended by Peele. There’s a moment in the film where a lot of exposition and explaining happens, and it simply muddies the waters in my opinion. In a sense, it felt like the movie was trying to do too much, too fast, in too little time towards the end. The ending for Us may or may not having people asking more questions despite the fact that the movie does try to answer those questions in a straightforward fashion. However, audiences are still left to piece together certain motivations and plot fillers from what would appear to be one off pieces of dialogue from the very beginning of the movie. Whether people will pay enough attention to those breadcrumbs and piece them back together by the end of the movie is the real challenge for this film. The concept for the overall plot for Us is a fascinating one, but I don’t think it will translate successfully. 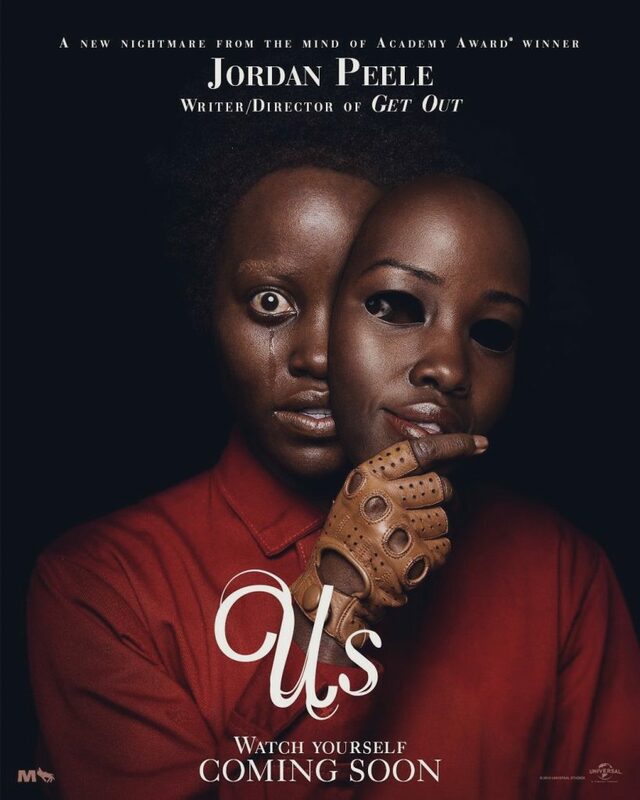 Us is a freshly unique homage to classic horror films with a splash of social commentary. There are a number of familiar elements in the movie compared to other horror films such as The Shining, The Strangers, and The Twilight Zone series. 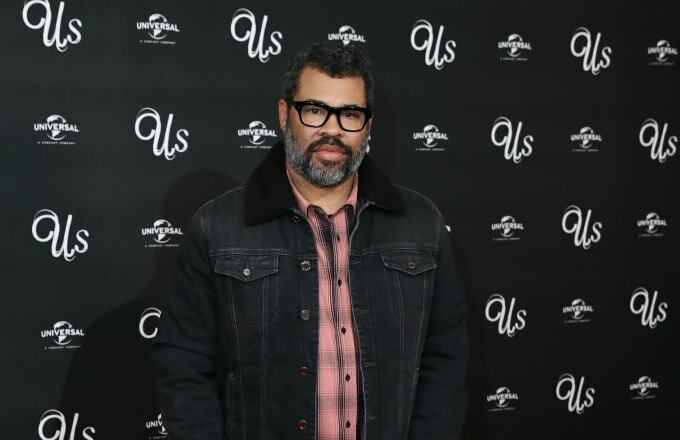 Us gets a lot of credit for its originality, and Jordan Peele continues to pave his own path in the film industry. The first two thirds of the movie is pretty entertaining, and will probably overrule any type of misgivings people may have with the final ending of the film. I do believe that the ending is going to be the most interesting aspect of this movie mainly because I believe it will have a lot of mixed reactions from general audiences. I did think that the ending was a bit too convoluted and might run the risk of confusing some people. I’ll be honest, it took me and a number of other audience viewers a while to fully flesh out the film after the showing. In some cases, that’s actually a good thing for a movie to get people talking and thinking. In other cases, the questions that are raised can also lead audience members to have negative reaction to the movie due to their misunderstandings of the plot. When it comes to Us, I think there’s going to be a mixture of both. The most important piece of advice I could recommend for audiences is not to conflate Us with Get Out, even though I know it’s pretty tempting to do so. 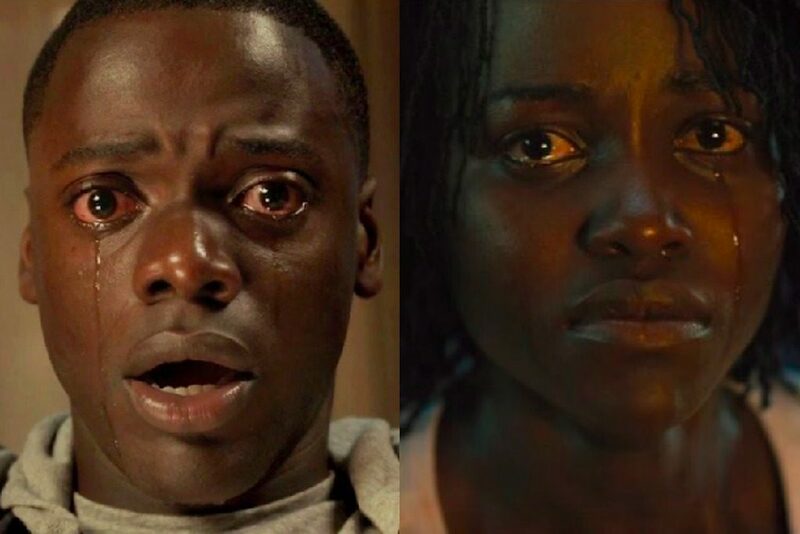 Both films do share some stylistic similarities to one another, and given the success of Get Out, it’s natural to walk into Us hoping for similar success. The best way to enjoy this movie is to go in with low expectations, and to treat it based on its own merit. (Although, that should be the case with most movies anyway.) So by all means, feel free to go see Us in theaters. There’s a very good chance that this film will call for a repeat viewing as well to help make more sense of the overall story. Us is in theaters March 22th, 2019. Be sure to follow E-Man’s Movie Reviews on Facebook, Subscribe on YouTube, or follow me on Twitter/IG @EmansReviews for even more movie news and reviews!